Win McNamee/Getty ImagesU.S. Speaker of the House Paul Ryan answers questions during a press conference at the U.S. Capitol June 23, 2016 in Washington, DC. House Speaker Paul Ryan on Thursday blasted the gun control sit-in as a “publicity stunt” and “fundraising scheme,” accusing Democrats of setting a “very dangerous precedent” in the House of Representatives. Democrats staged an unprecedented protest on the House floor Wednesday in an effort to force a vote on gun-control legislation that would strengthen background checks on gun buyers and keep people who are on the no-fly list from buying guns. House members voted on other legislation in the middle of the night, and then Republicans adjourned until July 5 without a vote on gun control. Ryan blasted his Democratic colleagues for disregarding the rules of decorum. “If this is not a political stunt, then why are they trying to raise money off of this? Off of a tragedy?” he asked. He held up print-outs of emails from Democrats asking for money as the sit-in was ongoing. “They are sending out fundraising solicitations,” Ryan said. “‘Look at what we’re doing on the House floor! Send us money,'” he continued, mocking the emails. 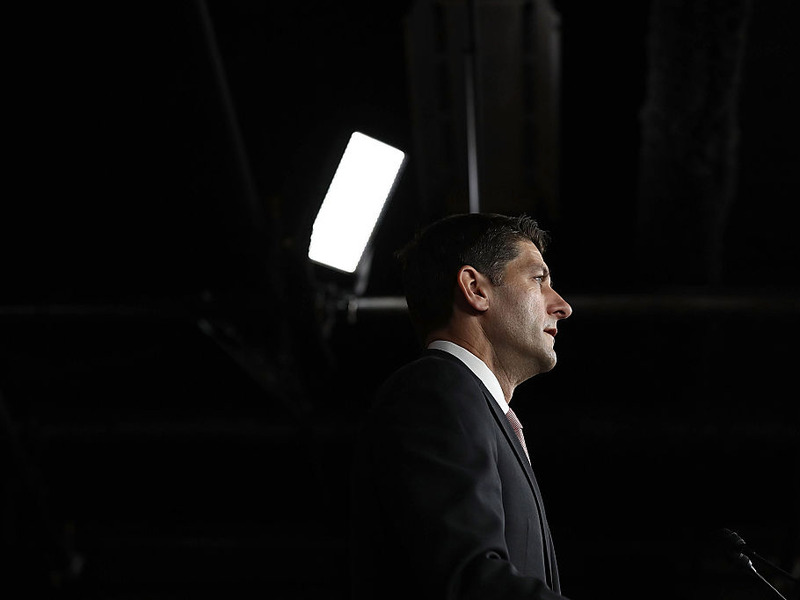 Ryan also blasted the legislation itself. The House sit-in came several days after a series of gun-control measures brought by members of both parties failed to pass in the Senate. Ryan emphasised that fighting terrorism should be the solution to preventing further tragedy, not restricting gun sales.